Last seen together in 2009’s Did You Hear About the Morgans?, 2014’s The Rewrite pairs writer/director Marc Lawrence and actor Hugh Grant for the fourth time. Oscar-winning screenwriter Keith Michaels (Grant) finds himself on hard times, as he can’t get new movie gigs. Out of desperation, Keith accepts a job as a guest professor at Binghamton University in upstate New York. We follow his ups and downs as a teacher and also see his social life, primarily how Keith relates to his relationships with hot student Karen (Bella Heathcote) and busy single mother Holly Carpenter (Marisa Tomei). As I mentioned earlier, Rewrite represents the fourth pairing of writer/director Marc Lawrence and actor Hugh Grant. They may want to quit each other, as each new flick does worse than its predecessor. 2002’s Two Weeks Notice grossed a decent $93 million, but 2007’s Music and Lyrics petered out at $50 million. Morgans? fared even worse, with a take of only $29 million – and poor Rewrite went straight to video without any theatrical exhibition. At this rate, if Lawrence and Grant team again, they’ll have to hand out wads of cash to entice potential moviegoers. I wish I could claim that Rewrite deserved a better fate, but that’d be a lie. Actually, it probably deserved a worse fate, as the movie lacks even the most basic form of entertainment value. 107 minutes of clichés and trite attempts at comedy, Rewrite never vaguely threatens to turn interesting. At one point Keith states “I used to know what was funny” and I can’t help but wonder if he speaks for Lawrence. While I didn’t love his earlier works, at least they became generally likable, whereas Rewrite feels like a film made by someone without any sense of inspiration at all. Cripes, Lawrence even self-plagiarizes as he steals quotes from his other movies. Rewrite completely wastes JK Simmons and Allison Janney in small roles, and Tomei gets little to do other than act like spunkiness on a stick. Grant looks vaguely embarrassed to be involved at all, and he offers absolutely nothing new as Keith. Admittedly, Grant never brought a ton of range, as he tended to play his parts the same way. In his younger days, though, he managed to invest the roles with enough charm to overcome the predictable elements. That doesn’t occur in Rewrite. Grant seems like he can’t believe he’s still playing these same characters in his mid-50s. He relies on all the usual stammering, tics and mannerisms but without any form of satisfying returns. Keith just seems like a craggier, wearier version of the stereotypical Grant character, and the actor brings no life to the part. With a stock batch of wacky students and a meandering plot that leads us inexorably toward its sunny ending, The Rewrite delivers one trite moment after another. No humor or charm emerge along the way, as the script seems leaden and dead. If anything worthwhile occurs in this flop, I can’t find it. The Rewrite appears in an aspect ratio of approximately 2.40:1 on this Blu-ray Disc. For the most part, this was a positive presentation. Sharpness worked well. If any notable softness occurred, I didn’t see it, as the movie remained crisp and well-defined. I witnessed no issues with jagged edges or moiré effects, and the image lacked edge haloes. No print flaws appeared either. Most romantic comedies opt for an amber hue, but not Rewrite, as it dared to go teal! Actually, some orange/tan did materialize – especially toward the movie’s end - but blue dominated. That’s a tedious choice but I can’t fault the reproduction of the tones, as they seemed fine. Blacks seemed dark and dense, while shadows were largely good but not great; some interiors looked a smidgen murky. Minor issues aside, this became a mostly pleasing image. As for the DTS-HD MA 5.1 soundtrack of Rewrite, it provided a subdued experience typical for character pieces such as this. For the most part, the soundscape didn’t have much to do, as it tended toward general ambience. Scenes on the street opened up matters a bit, as they used the side and back speakers in a mildly engaging manner. Nonetheless, these components didn’t bring a whole lot to the package, so this remained a restrained soundfield. Only some minor extras appear here. 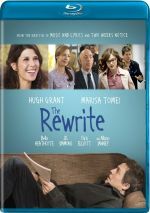 The Making of The Rewrite runs seven minute, 47 seconds and includes notes from writer/director Marc Lawrence, actors Hugh Grant, Allison Janney, Chris Elliott, Bella Heathcote and JK Simmons. The show looks at story and characters as well as cast and performances. This becomes a dull promo piece. We also get two deleted scenes: “Guard Gate” (1:05) and “Student Screenplays” (1:40). “Gate” actually consists of a series of clips, as it shows what would’ve been a running gag about Keith and a guard who ignores him. “Screenplays” gives us quotes from the scripts written by the students. Nothing here amuses. The disc opens with ads for Paradise, Goats and Last Love. We also find a trailer for Rewrite. If you want to see a dull, flawed of a romantic comedy, head to The Rewrite. The movie musters nary an original thought and just plods from beginning to end. 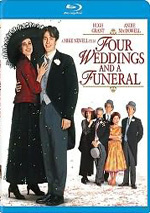 The Blu-ray brings us good picture and audio but lacks substantial bonus materials. Rewrite can’t even provide mediocre charms, as it becomes a dull dud.